Ah, St. Patrick’s Day….the day we all wear green to avoid getting pinched and drink green beer until we can’t stand anymore. Wait a minute…that was when I was in college! 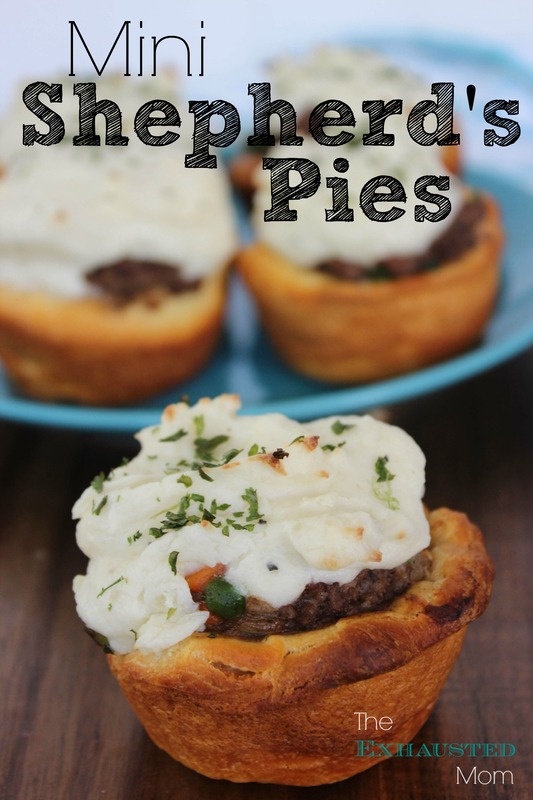 One of my all time FAVORITE meals for St. Patrick’s Day is Shepherd’s Pie. There’s something about a ground beef mixture with creamy potatoes on top that speaks to my heart. Since I also love Corned Beef & Cabbage, it’s hard to justify a complete Shepherd’s Pie for my little family. 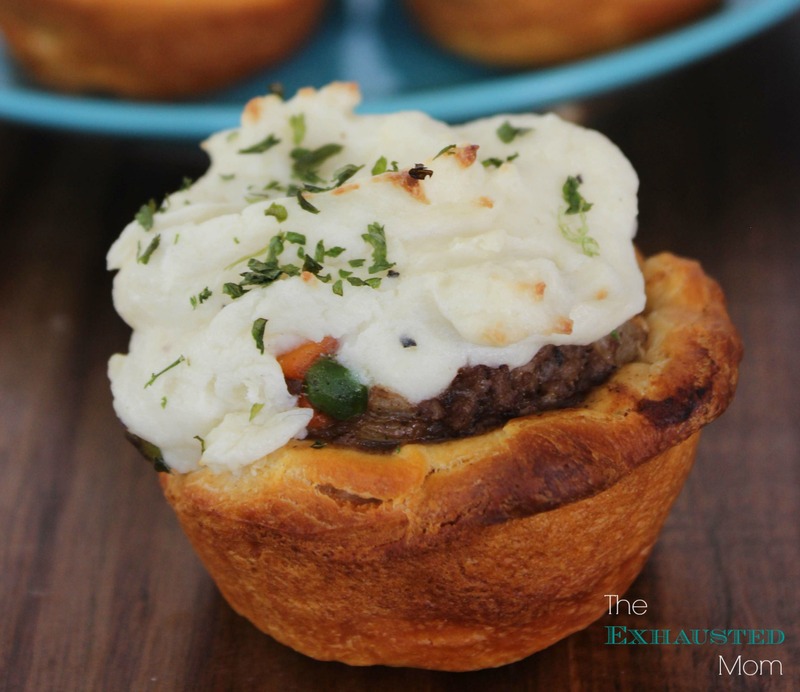 These Mini Shepherd’s Pies are a perfect way to enjoy all my favorite Irish meals in one sitting! If you’re heading to a St. Patty’s party…you could whip up these little guys as a great appetizer too! 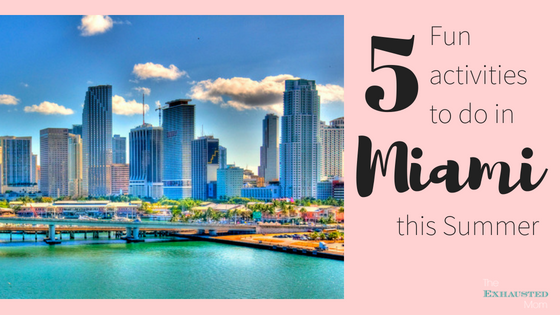 You’ll start by preheating your oven to 425º. 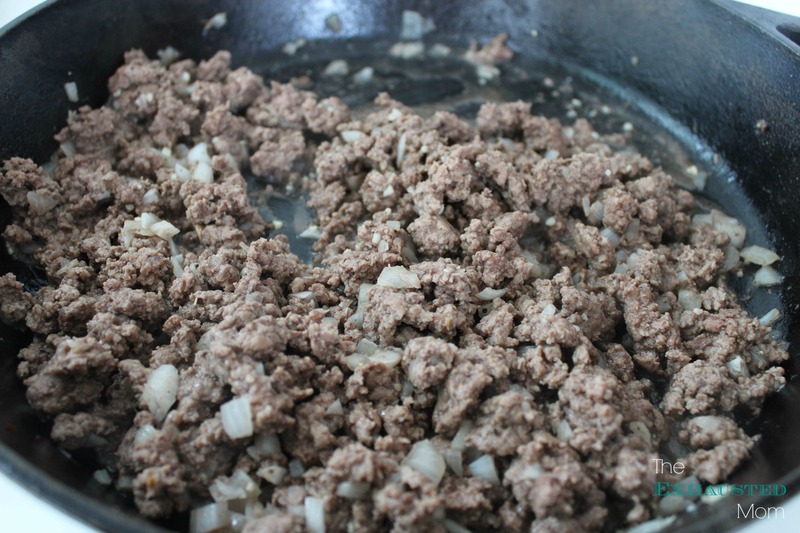 Brown the ground beef in a large skillet and drain the excess juices. Stir in the onions, salt, pepper, and garlic and allow to cook together for a couple of minutes. 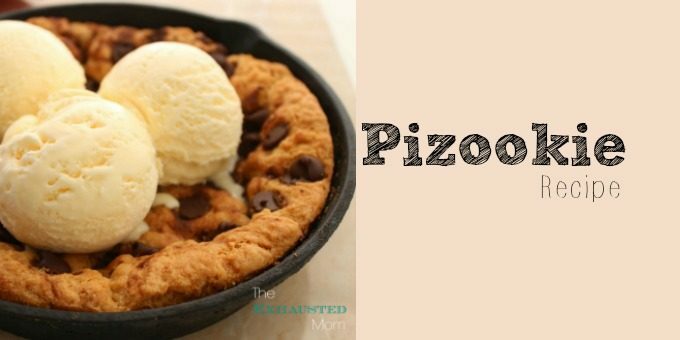 Next, you will add flour to the mixture and stir until blended to a paste. Add beef stock, Worcestershire, and vegetables and mix well. Spoon about 2-3 tablespoons of the meat mixture into each biscuit shell. Then top each with an equal amount of prepared mashed potatoes. Sprinkle the top of each with dried parsley flakes. 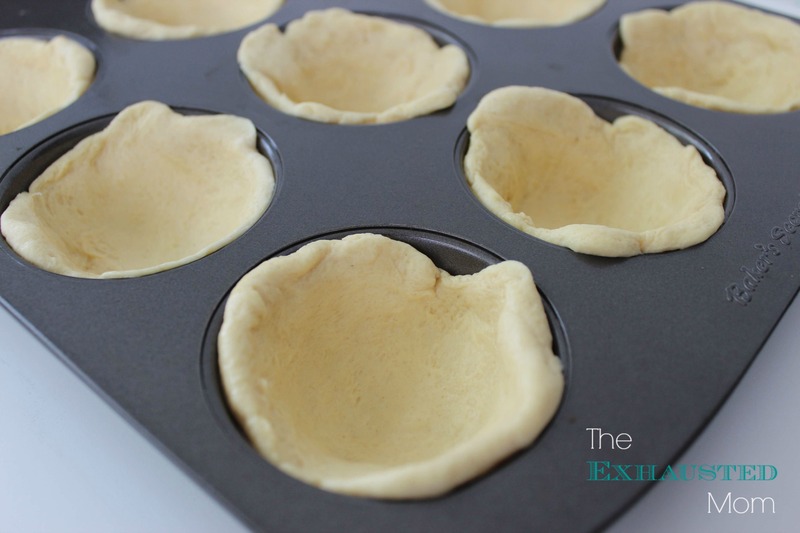 Allow the pies to cool slightly before removing them from the muffin tin. Add beef stock, worcestershire and vegetables. Mix well. Then top with equal amount prepared mashed potatoes. Sprinkle the top with dried parsley flakes. What’s your favorite St. Patrick’s Day meal? Definitely trying this! I love shepherd’s pie & love the individual sized portions!! This way you can have corned beef & cabbage with Shepherd’s Pie as an appetizer!